Since March, I’ve been enjoying doing freelance illustration for e-Learning. I feel so lucky to work with great workmates and fun projects! In September I went to Oxford and inspired by the botanic gardens and voluptuous English cottage gardens, drew old-fashioned roses, foxglove, mock orange, delphinium, phlox, lavender, catnip, brimstone butterfly, bee, Jersey Tiger moth, cabbage butterfly, dragonfly and a ladybird. They all came together on a dark and dusky background and a few months later Boho Botanica became available at Ohh Deer as a cushion cover! My illustrated map of Fredhäll in Stockholm has received a lot of interest (and sales!) during 2018. Let me know if you’re interested, and I can add you to the waiting list. My journey to Oxford also sparked the idea to host an open house in November. Throughout the autumn I spent evenings and weekends creating brand new art for the show. The event turned out beautifully! Thank you for coming! And if you couldn’t make it this time, I hope you can next year! This autumn was exceptionally busy. I made this cover for the 10th anniversary issue of UPPERCASE magazine. Although my submission wasn't selected for the cover, I'm thrilled that it is published within the issue! This autumn I created the visual identity and branding for delightful café Bönan & Prinsen in collaboration with talented Lottisson Design. Do drop by for a coffee or some freshly baked bread! It’s a real gem! During the year I also became a member of Women Who Draw and I’m currently updating my portfolio at Illustratörcentrum. Phew! What a busy year! No wonder I haven’t had time to update my blog or create free artwork for members of Club Marmalade Moon. Presence. It runs as a theme in all my relationships and my work. I value presence. Genuine connections. Mutual relationships. 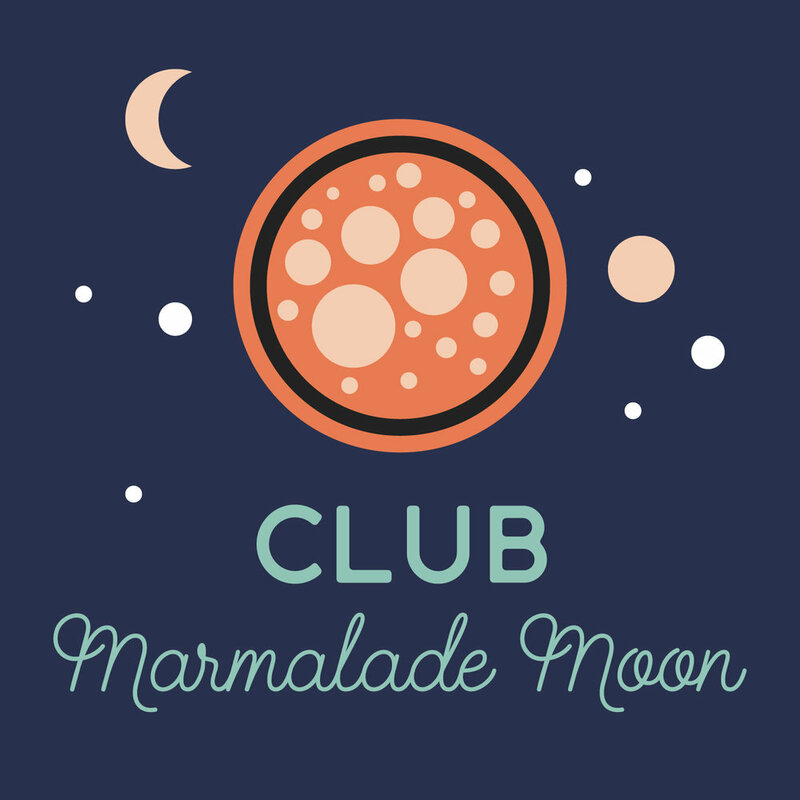 To make room for more of that, I’ve closed my portfolio-site and merged all my online communications onto this site, Marmalade Moon, paired with my Instagram feed. I’ve closed my Facebook account and look forward to a simpler, yet more genuinely connected, digital landscape in 2019.